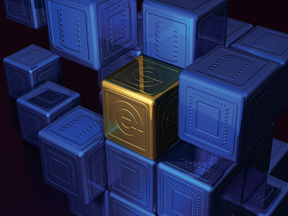 The World's Most Cost Effective Automated Programming System? 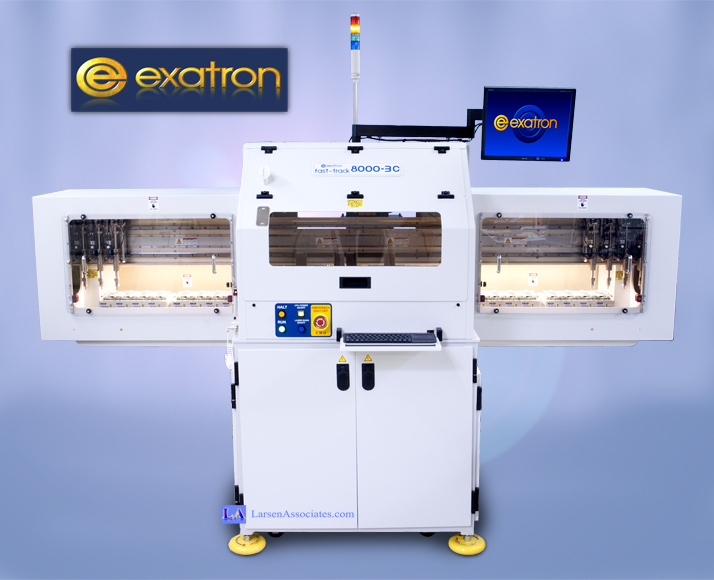 The New Exatron Model 902 Pick & Place handler Programming System. We have other models too. 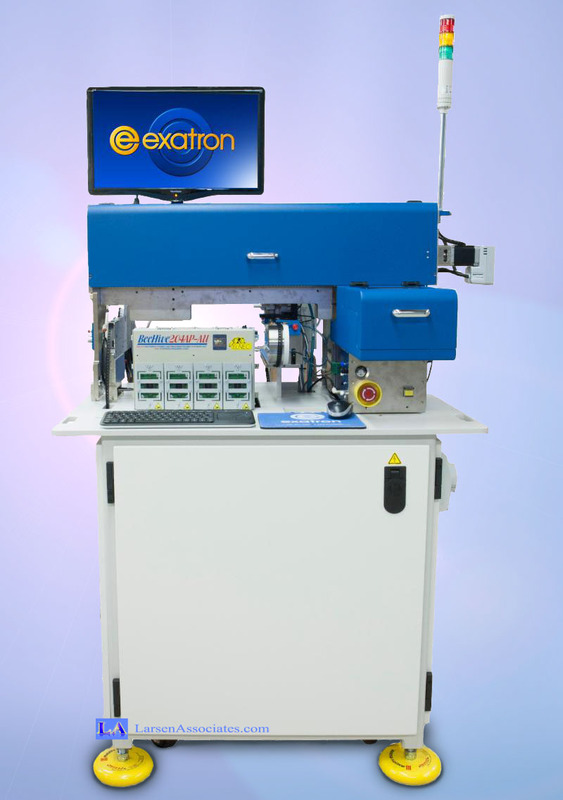 Bigger & faster, plus we build from Exatron Standard building blocks and the result is ledgendary reliability, cost effective, software smart, kit-less, masterfully designed, test handler machinery, built to suit your exact needs. Exatron supports everything Exatron has ever made. Since 1974 in Silicon Valley California, USA, with machines all over the world in the finest companies. Does it get any better than this? No, except for your next machine that we build for you. Ping Pong Programmer: Essentially two programmers in one as each side can run the same devices or different devices, you decide. This model with 3 Trays, Stackers, etc. Also Kitless, no change over time. This means high UPH speed and high capacity in production enviroments. Want something like this but different? Add a Laser marker, tape and reel etc.? You name it. Let us know your needs. Made from Exatron Proven Standard building blocks and once again, the result is ledgendary reliability, reasonably priced, cost effective, software smart, kit-less, masterfully designed and manufactured in San Jose California, test handler machinery, built to suit your exact needs. Tell us your requirements, we can send you a quote. Compare us to anyone, Exatron wins, hands down, game over, and you will be happy for many years to come. Ping Pong Programmer: Showing the left side of the ping pong programmer. Want More Options? You can have them! - Exatron Programmer Handler unit with Dataman, Elnec, Xeltek, or any programmer of your choice built in. -This particular machine is shown with dual input trays and tape & reel output. 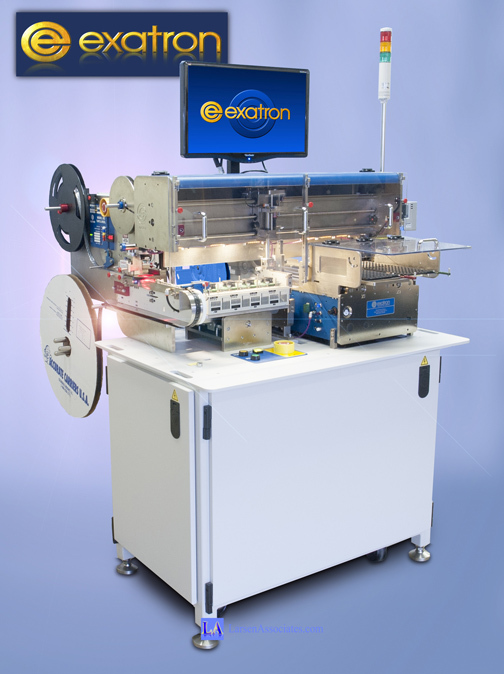 - Exatron designs and manufactures their own Tape and Reel tapers in-house at Exatron in San Jose California. You can have any input to any output and in any combination. You can have input bowl feeders, tape, trays, magazines, etc., the choice is yours. You can have all in one machine if you want. Likewise you can have any output or combination of outputs, you decide. 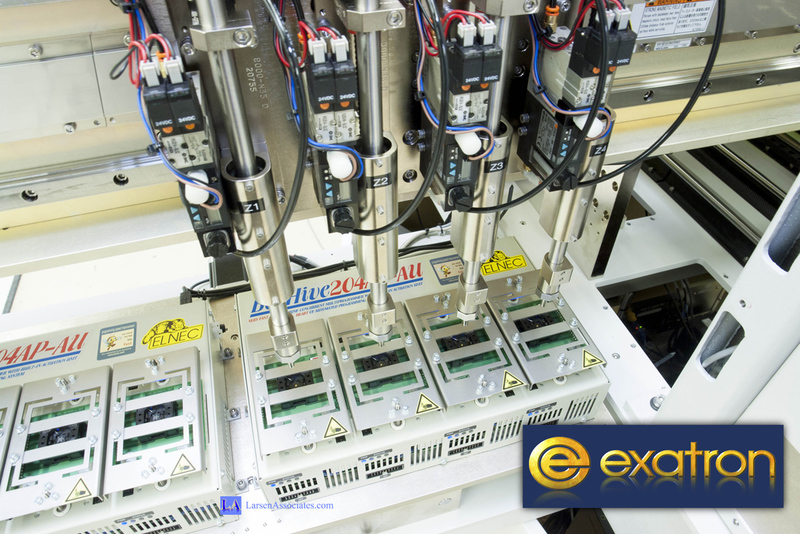 - Exatron will design and build your unit of choice using Exatron's proven building blocks. - Is this a custom machine? Yes to you, but standard to us. Let us build a machine that suits your needs exactly. Have I mentioned they are truly kitless, truly quick change, expandable in the future? Yes, Call today for more information.